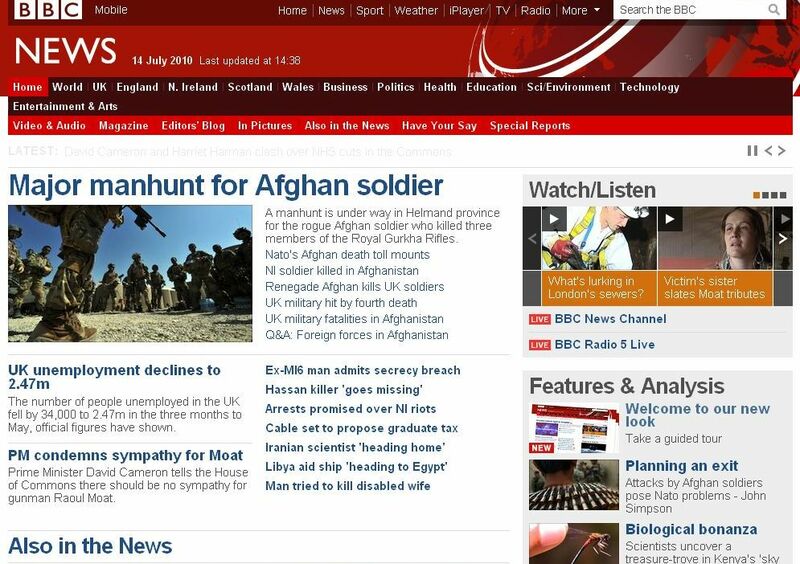 10 users responded in " BBC News redesign excludes the disabled "
Too right, well said Louise! Your headline claims that the ‘BBC News redesign excludes the disabled’ but you then say that ‘the low-graphics version was turned off in April:’ The two events are unrelated. You might have only found our the news about the low-graphic site now, but that doesn’t justify your misleading headline. The headline is not misleading – the BBC admitted on rollout in its editors’ blog that the site is not fully accessible for the disabled and among the thousands of responses from users below that were a significant number of complaints from people with visual impairments that they now can’t use the site. Turning off the low graphics version without offering an alternative at the time is bad enough but replacing it with a new site that should have been WCAG compliant from the start is nothing short of disgraceful. I’m curious to know if it’s a problem for you, mrlerone. The BBC is cavalier to the point of charging the disabled and those on low incomes the standard £12 a month for the alleged privilege of a TV license yet they’d cater sooner to middle-class iPad owners than the disabled. Perhaps this corporate welfare, fat cat and nepotist infested cabal ought to have massive funding cuts? After all Mark Thompson doesn’t mind claiming thousands back in public-funds for his gallivanting through Africa – why on Earth should anybody fund his and other BBC personnel’s conceited extravagances and exorbitant salaries? You may well emulate the BBC’s glorious tradition of censorship and decline to publish this comment Louise. If so you’ll be on the same plane as BBC Online’s Dave Lee; happy to support the BBC line but making pains to swerve criticism or dissent – nobly drawing paycheques but being aloof and unaccountable to those who finance the enterprise in the first place. Reason I visited your website is because you’d blocked me on Twitter: We’ve never met or otherwise spoke and indeed I don’t think I ever tweeted at you? Your mentality saw it fit to block my account for no reason other than a personal view that happens to contrast broadly with your support of an organization. Bit immature wouldn’t you say? Here’s the news: Many share my disgust of the BBC and we can’t be screened off forever. Start talking. I’m not sure why you’re sounding off at me. I don’t work for the BBC although I have done in the past. Your comments would be better directed at the corporation, especially as it’s pretty clear to anyone reading my blog that a) I’m disabled too and b) I have a history of campaigning to improve BBC services. Whingeing to me about blocking you on Twitter (which I did because you spammed me and others on there with links to your site and I have low tolerance of being spammed) neither endears you to me nor helps your cause. As you can see, I don’t censor comments on here. If you’d exercised patience when commenting, you’d have noticed I have active moderation in place, which means nothing gets posted until I’ve checked it. And unlike the BBC, I have a staff of 1 (me) and don’t work 24/7 so comments don’t always get published straight away.